Spacious home in Leyden Ranch on large lot backing to a greenbelt w/ mountain & city views! Spacious home in Leyden Ranch on large lot backing to a greenbelt w/ mountain & city views! Upgrades/enhancements include: built-in mudroom coat rack, barn wood accents, kitchen backsplash, under cabinet lighting, pendant lighting, carpeting, cabinets, window coverings, rocker switches, fireplace tile surround & hearth, oil rubbed bronze fixtures, laundry room cabinets w/ utility sink, ceiling fans, panel detailing, pellet mirrors, etc. Gourmet kitchen w/ SS appliances, lots of cabinet space & large breakfast nook w/ greenbelt views. Professional landscaping includes terraced retaining walls, hardwired landscape lights, sprinkler system, hot tub, etc. 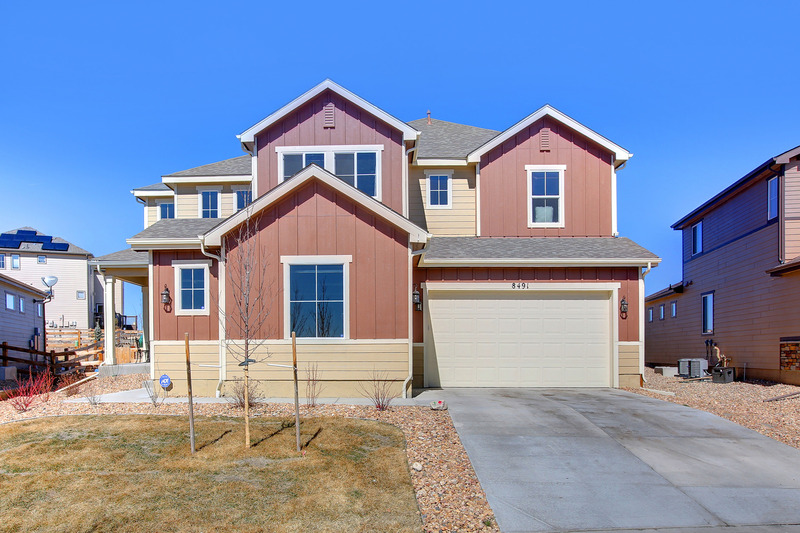 The upstairs features a separate master suite w/ mountain views, five-piece bathroom & extra large walk-in closet. Two secondary bedrooms, two secondary bathrooms & loft (w/ downtown Denver views) complete the space. Full basement is a blank canvas & ready to be customized to your tastes. This home is a must see in a coveted neighborhood!